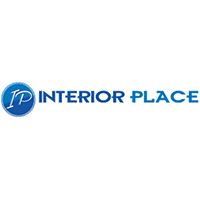 Interior Place offers a large catalog of wallpaper collections, in addition to a number of similar products. Visiting Interior Place, you will have the opportunity to purchase items from such collections as Temporary Wallpaper, Luxury Designer Wallpaper, Contemporary Modern Wallpaper, Coastal Nautical Wallpaper, Textures Wallpaper, Baby Nursery Kids, and numerous others. Kitchen Bathroom Wallpaper, Novelty Wallpaper, and Paintable Wallpaper are additional collections you can check out at this site. There is also a section of the website devoted to offering a wide assortment of wallpaper borders, many of which can be matched up to some of the wallpaper collections. Contact paper, designer gifts, and home décor items are also available.